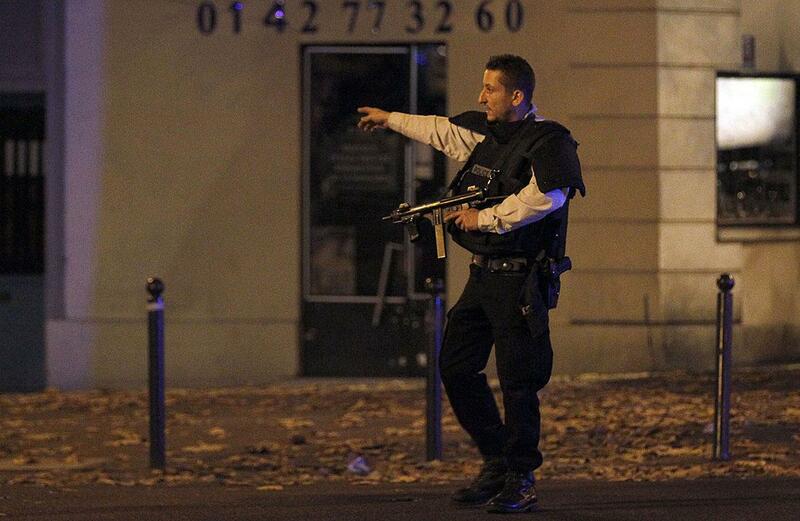 Paris shooting: Early photos after coordinated attacks. 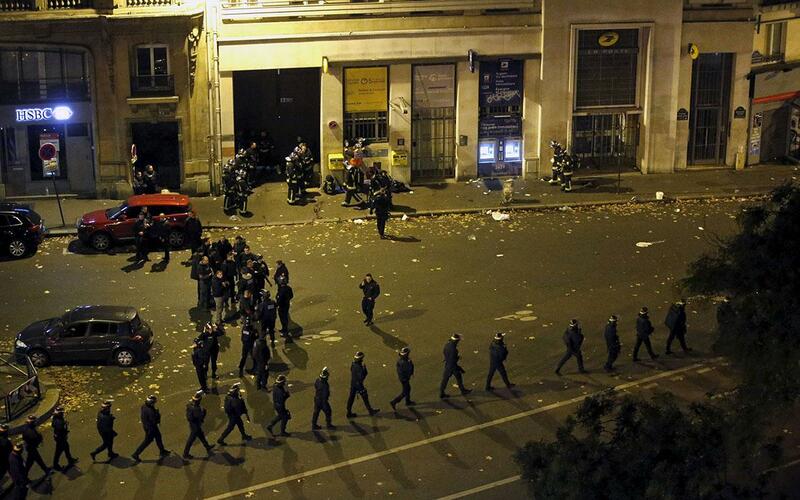 On Friday evening, a series of coordinated shootings rocked Paris in some of its most popular nightlife venues. Slate has collected early photos being released from the scenes of these attacks. France has declared a state of emergency following the attacks, which have so far killed over 129 people. Shootings have been reported from multiple locations, including Le Carillon bar and nearby Le Petite Cambodge restaurant, Cafe Bonne Bière, La Belle Equipe restaurant, Comptoir Voltaire cafe, and at the Bataclan theater. Bataclan, a club and music venue in located in the 11th arrondissement, was the site of a hostage crisis prior to a mass shooting, where at least 89 people held captive were killed. Seven of the attackers have died, and a manhunt is ongoing to locate at least two additional suspects. The situation is still developing. 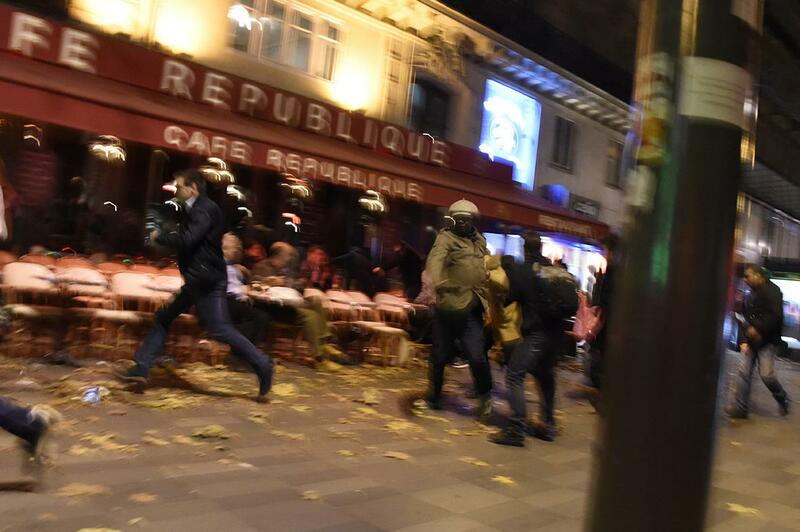 People run after hearing what is believed to be explosions or gun shots near Place de la Republique square in Paris on Nov. 13, 2015. 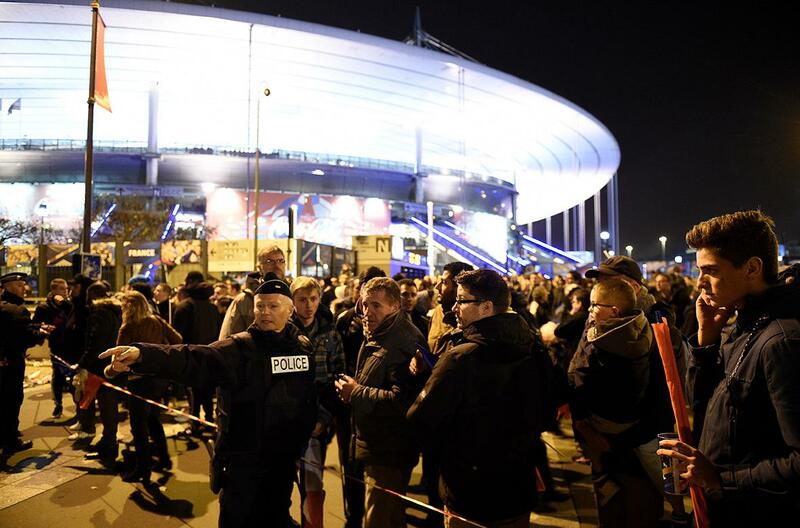 Football fans talk to a policeman securing an area outside the Stade de France stadium following the friendly football match between France and Germany in Saint-Denis, north of Paris, on Nov. 13, 2015. 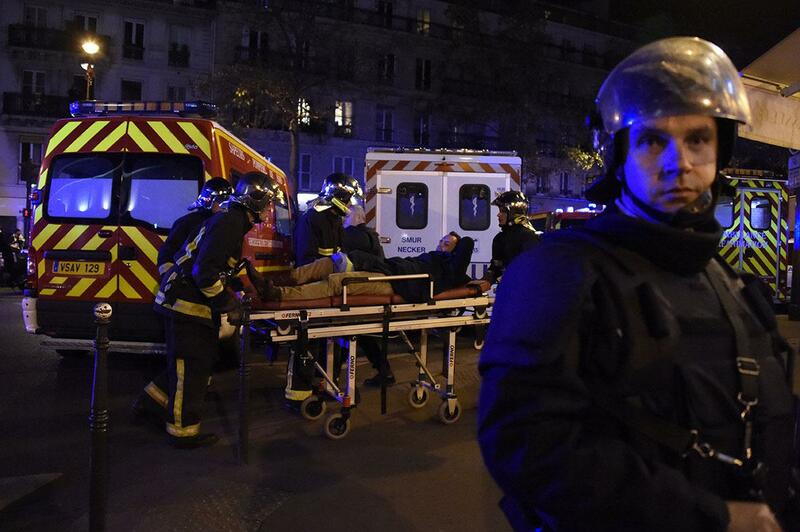 Police officers of the armed response unit man a position close to the Bataclan theatre on Nov. 13, 2015. 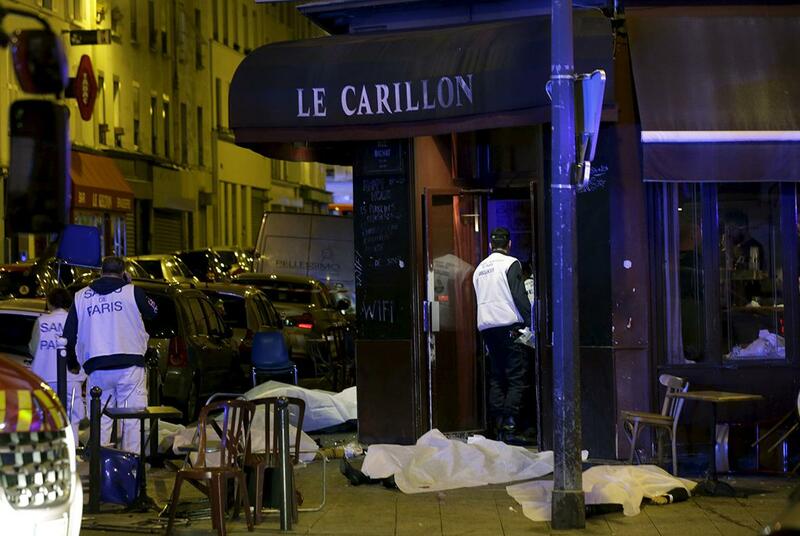 Victims’ covered bodies lie outside a restaurant following a shooting in Paris on Nov. 13, 2015. 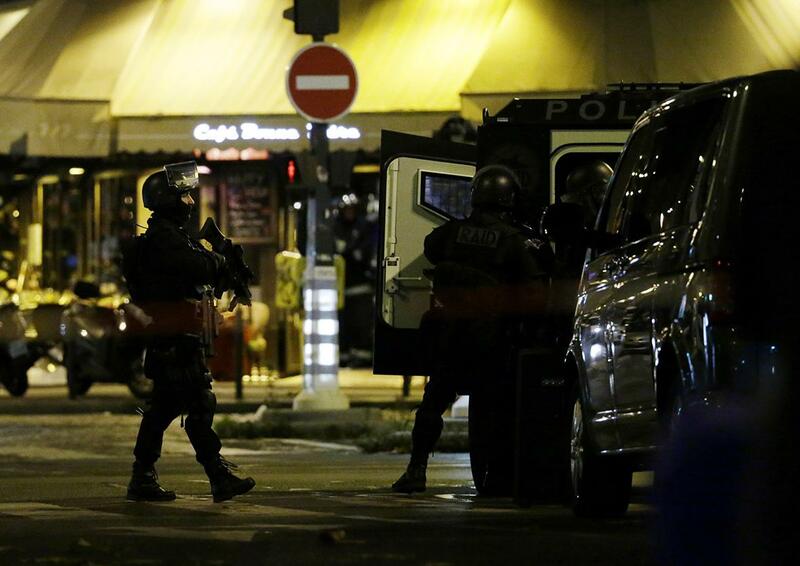 Police survey the area of Boulevard Baumarchais, Nov. 13, 2015. 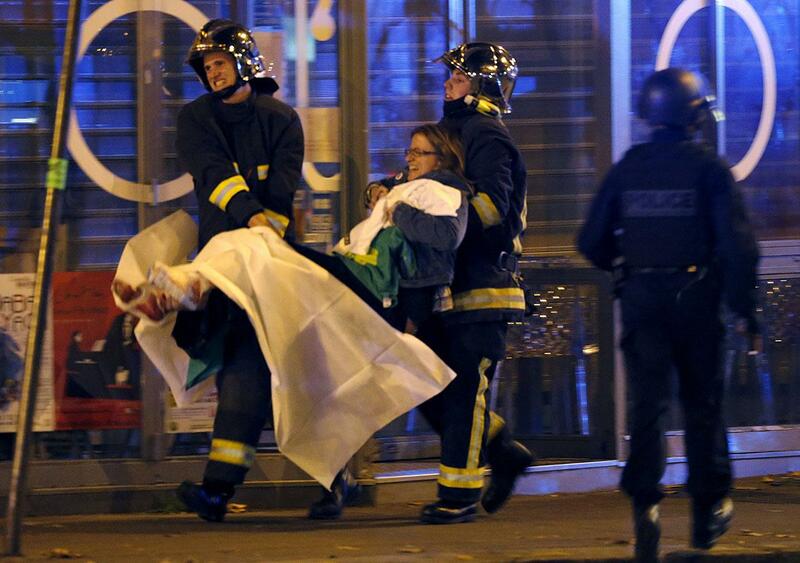 Rescuers workers evacuate a man on a stretcher near the Bataclan concert hall in central Paris, on Nov. 13, 2015. 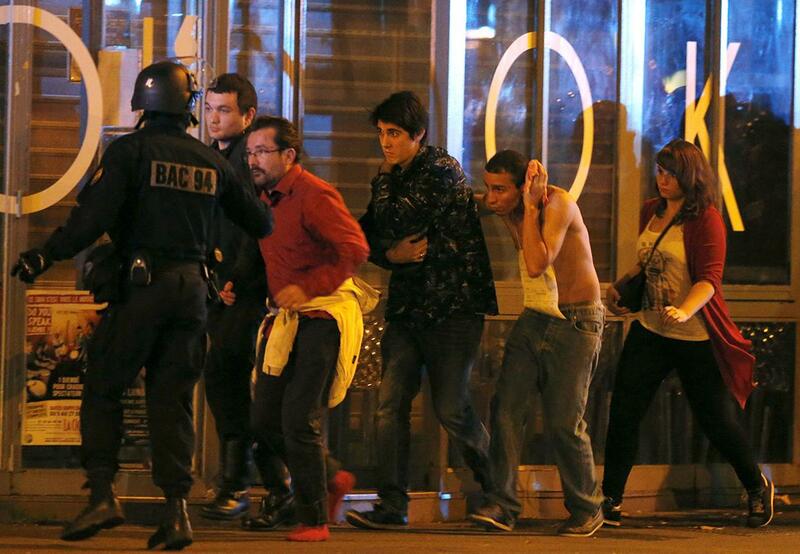 French special forces evacuate people, including an injured man holding his head, as people gather near the Bataclan concert hall following fatal shootings in Paris on Nov. 13, 2015. 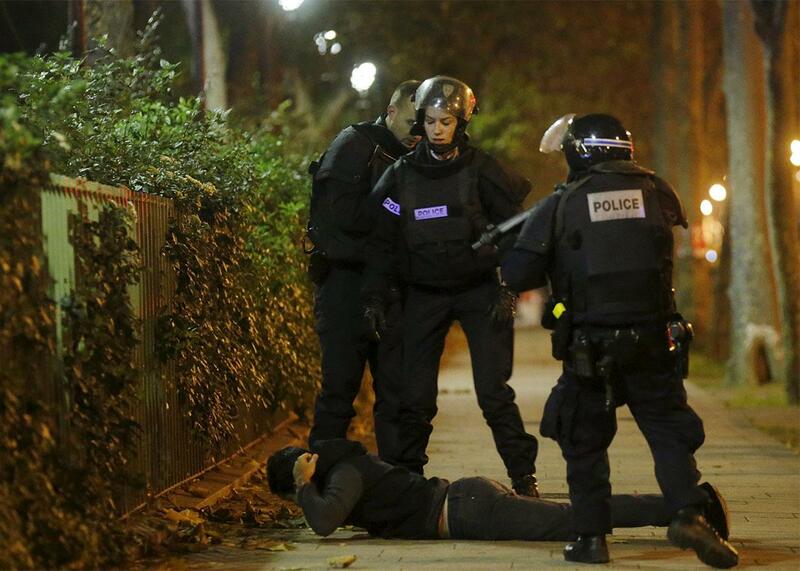 A man lies on the ground as French police check his identity near the Bataclan concert hall following fatal shootings in Paris on Nov. 13, 2015. The man was later released after his identity was verified. 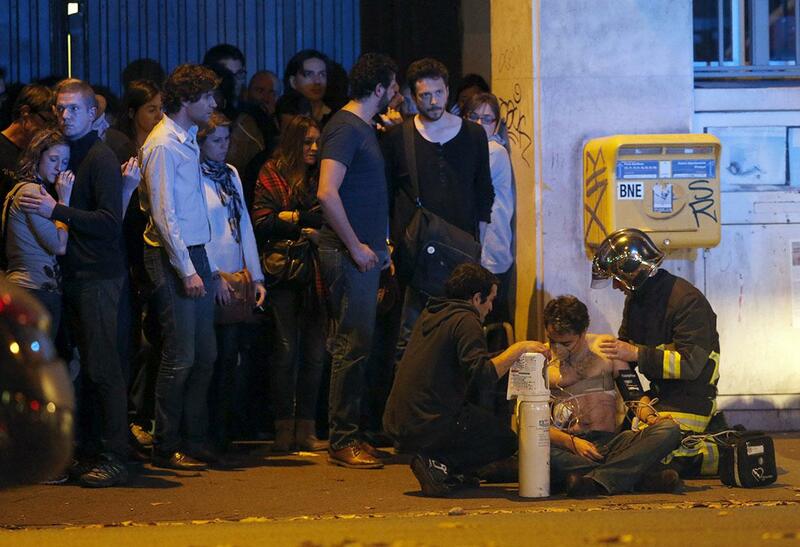 French fire brigade members aid an injured individual near the Bataclan concert hall following fatal shootings in Paris, France, Nov. 13, 2015. French police with protective shields walk in line near the Bataclan concert hall following fatal shootings in Paris, France, Nov. 14, 2015. 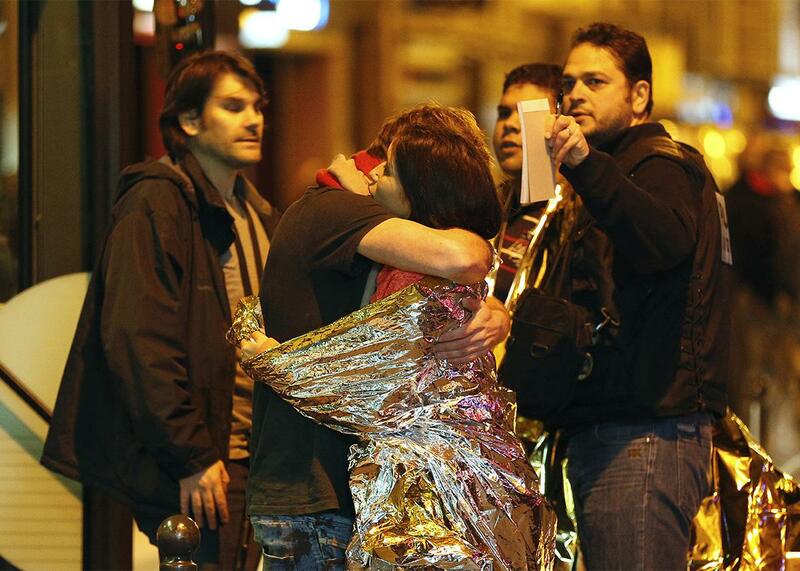 People hug each other before being evacuated by bus, near the Bataclan concert hall in central Paris, on Nov. 14, 2015.